We've had one of the busiest quarters ever with new events joining an already packed schedule. You can read about them here along with our usual round up of what's happening in the book world. There's no avoiding the current constitutional crisis but books - beautiful, serious, funny, engaging, witty, wise (to describe a few) - are letting us get some respite. We've highlighted some of the current crop and a few of our favourite European ones, old and new. This popular publisher features in The Bookseller of 12 March 2019: Sandstone Press on living the Highland Life by Tom Tivnan. Historic Environment Scotland (HES) has been shortlisted for Academic, Educational and Professional Publisher of the Year in the British Book Awards 2019 (BBA 2019). HES publishes general trade and specialised books exploring the history of Scotland, and in particular its architecture, archaeology and industry. 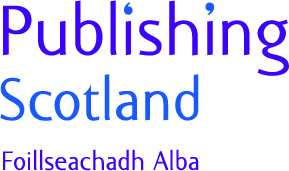 The Edinburgh-based publisher has been shortlisted for Independent Publisher of the Year in the BBA 2019. Publishing Director at Canongate Books, Francis Bickmore is on the BBA 2019 shortlist for Editor of the Year. HarperCollins and its educational imprint Collins Learning are both on the BBA 2019 shortlists - for Publisher of the Year and Academic, Educational and Professional Publisher of the Year respectively. There was also a strong showing from booksellers on the BBA 2019 shortlists with Noor Hemani (Lighthouse Bookshop), Jonathan Taylor (Golden Hare Books), The Mainstreet Trading Company, Golden Hare Books and The Edinburgh Bookshop all shortlisted for awards. The winners will be announced on 13 May. Latin American literature specialist Charco Press won the Scottish section of the British Book Awards new Small Press Award. A highly-commended was given by the judges to Glasgow-based BHP Comics . The other Scottish finalists were 404 Ink , Scotland Street Press , Speculative Press and The Lunicorn Press . The overall winner announced at the London Book Fair was Bath-based travel publisher Wild Things Publishing . A total of forty-one small presses were shortlisted across the English regions, Scotland, Wales, and Ireland. See The Bookseller of 13 March 2019. Formerly Sales Operation Manager at Canongate Books, Jen Wallace took up the position of Key Account Manager at Bookspeed at the start of 2019. Now Publisher Relationship Manager at Bookspeed, Jonny Gallant has had various roles in the book world - most recently as MD at Alban Books. Appointed as UK Publishing Director of Dublin-based Tramp Press in January, Laura Waddell has special responsibility for UK sales in this newly created role. Laura also has a regular column in The Scotsman newspaper on a Thursday (see eg her column of 28 March 2019 ). Harriet MacMillan is the new Literature Officer at Creative Scotland. She is a tutor in English Literature at the University of Edinburgh and previously worked for the University’s School of Law. Fiona Brownlee of Brownlee Donald Associates was shortlisted for the Edinburgh Book Festival Award for Best Generic Campaign at the PPC Awards for her campaign for Bloody Scotland: Scotland's International Crime Festival. Jan Rutherford and Kristian Kerr of Birlinn were also nominated in this category - in their case for The Year of Spark campaign. Sadly they all lost out on 11 February to Penelope Daukes for Horrible Histories 25th Anniversary. See the PPC website for all the winners . As of next week Rosemary Goring will be stepping down as Literary Editor of The Herald and Herald on Sunday. She will still be reviewing books and doing interviews for the Herald and other publications. Marianne Taylor has been appointed as the new Literary Editor of The Herald and Herald on Sunday. 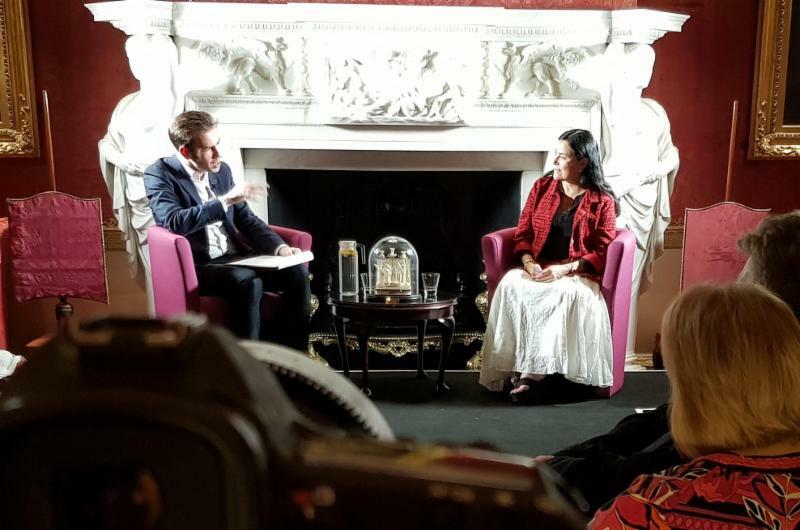 Organised by national tourism body, VisitScotland and by us at Publishing Scotland, Outlander author Diana Gabaldon took part in an 'in conversation' event (with our Chair Jamie Crawford) at Hopetoun House on Friday 15 March 2019. Fans got a chance to quiz the author at an exclusive event held at one of the hit TV series' iconic filming locations (the Red Drawing Room pictured below). The event sold out within hours. Among the lucky fans who got tickets were superfans who came from far and wide (including a couple from Hamburg in Germany) or dressed in Outlander outfits. One ticketless fan even turned up on spec from Carlisle and was rewarded with the only last-minute cancellation ticket of the night. 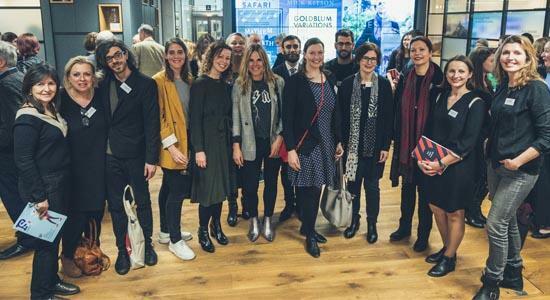 Scottish publishers marked the beginning of the London Book Fair 2019 with the first ever 'Scotland in London' showcase attended by key figures from the book trade and a large cohort of international publishers who have participated in the Publishing Scotland Fellowship over the last four years. At the event Marion Sinclair, CEO of Publishing Scotland, revealed the 10 publishers who have been chosen for the fifth International Fellowship. The event took place in Scotland House on the Victoria Embankment on Monday 11 March. Sally Magnusson (below left) chaired the event. 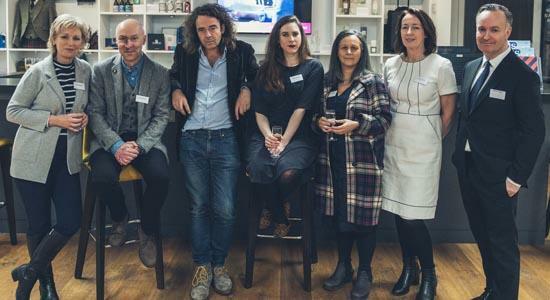 The speakers at the event were from left next to Sally: Chris Brookmyre, writer; Jamie Byng, publisher; Helen McClory, writer; Sara Sheridan, writer; Marion Sinclair, Chief Executive of Publishing Scotland; and Andrew O'Hagan, writer. Picture by Kevin Lake. See more pictures from the event on our website. The 10 publishers who have been chosen for the fifth International Fellowship will be coming from Canada, France, Germany, Lithuania, Netherlands, Norway, Portugal, Spain and the United States. You can find out more about them on our 2019 Fellows page on our website. The group will spend a week in Scotland at the end of August meeting Scotland-based publishers, agents and writers in a varied programme of events across the country including the Edinburgh International Book Festival, dinner at Robert Louis Stevenson's former home, a writer showcase in Glasgow and a trip to the Highlands to meet publishers and writers there. Some of them are pictured below along with Fellows from previous years. The photo was taken by Kevin Lake at the Scotland in London showcase event on 11 March 2019. Scottish Books International (SBI) is now up and running. Dedicated to the international promotion of books, writers, festivals and organisations, SBI will take a strategic and co-ordinated approach to showcasing and championing Scotland’s writers, publishers and festivals overseas. SBI is led by Sasha de Buyl and supported by a steering group of Publishing Scotland, Edinburgh International Book Festival, Creative Scotland and Jenny Brown Associates. Find out more about it on the SBI website. With Europe very much on our minds, we wanted to recommend some of our favourite European books. They include: The Neapolitan Novels by Elena Ferrante, tr by Ann Goldstein (especially My Brilliant Friend ) (Europa Editions); Drive Your Plow Over the Bones of the Dead by Olga Tokarczuk, tr by Antonia Lloyd-Jones (Fitzcarraldo); Silk by Allessandro Barico, tr by Ann Goldstein (Canongate Books); The Infatuations by Javier Marias, tr by Margaret Jull Costa (Vintage International) (the narrator in this book works in publishing); and Babylon Berlin by Volker Kutscher, tr by Niall Sellar (Sandstone Press). And for those who can read French: La nuit du décret by Michel Castillo (Tallandier). The Secret Life of the Mountain Hare by Andy Howard (Sandstone Pres) won Favourite Scottish Nature Photography Book 2018 at the Scottish Nature Photography Awards 2018. John Young’s Farewell Tour of a Terminal Optimist (Kelpies Edge) is the winner of this year’s £3,000 Scottish Teenage Book Prize. See The Bookseller 27 February 2019 . Amateur: A true story about what makes a man by Thomas Page McBee (Canongate Books) is one of six books shortlisted for this prize. The winner will be announced on 1 May. Ghost Trees: Nature and People in a London Parish by Bob Gilbert (Saraband) is on the longlist for the Rathbones Folio Prize 2019 . The shortlist will be announced on 4 April and the winner on 20 May. As the Women Lay Dreaming by Donald S. Murray (Saraband) is on the shortlist for the longest-running UK prize for debut fiction as is Sally Magnusson's The Sealwoman's Gift (Two Roads) . The winner will be revealed at a dinner at the National Liberal Club on 22 May. Luna Press Publishing has two shortlistings for these awards: Kingfisher in Lost Objects by Marion Womack (Best Shorter Fiction) and Bede Rogerson's cover for Concrete Faery by Elizabeth Priest (Best Cover Art). For the full shortlists, see t he BSFA website . The winners will be announced on 20 April. The Kitschies reward the year’s most progressive, intelligent and entertaining fiction that contain elements of the speculative or fantastic. The recently revealed shortlists include Sweet Fruit, Sour Land by Rebecca Ley (Sandstone Press) in the Red Tentacle (Novel) category and The Book of Joan by Lidia Yuknavitch, design by Rafaela Romaya (Canongate Books) in the Inky Tentacle (Cover Art) category. The winner will be announced on Monday 15 April. In celebration of the fifteenth year of the RSL Ondaatje Prize, it has announced a longlist for the first time. One of the fifteen books on it is The Valley at the Centre of the World by Malachy Talack (Canongate Books). The shortlist will be announced on Tuesday 16 April and the winner on Monday 13 May. For the full longlist, see the RSL website. Black Snow Falling by L.J. MacWhirter (Scotland Street Press) is nominated for the Carnegie Medal along with several books from Barrington Stoke. They are: Zebra Crossing Soul Song by Sita Brahmachari; Worry Angels by Sita Brahmachari (author) and Jane Ray (illustrator); Grave Matter by Juno Dawson (author) and Alex T. Smith (illustrator); and The Family Tree by Mal Peet (author) and Emma Shoard (illustrator). The Family Tree is also nominated for the CILIP Kate Greenaway Medal 2019 . A new award - the Polari Prize - has been launched to run alongside the Polari First Book Prize. The Polari Prize will be for any book by an LGBT+ author or a title that explores LBGT+ themes. The deadline for submission for both prizes is 10 April. See the Polari website for details and to submit entries . Spring is the time when we're ready to venture outdoors again, and yet still have the urge (especially with our infamous Scottish weather) to stay cosy and coorie in. The latest BooksfromScotland Issue - Creature Comforts - celebrates nature's bounty as well as our home comforts with great fiction, memoirs, cookery, travel and children's books. Named after Nana, the big dog who looks after the children in Peter Pan, Big DoG is an exciting family festival for Dumfries. Organised by the Wigtown Book Festival, see its website for details . The most northerly book festival on the Scottish mainland is also one of the newest - this is its second year . James Robertson, Gerda Stevenson and Kate Leiper are among the speakers. For details, see the John O'Groats Book Festival on Facebook . Mainly music but with film and storytelling too. For full details and to book, see the TradFest website. The island of Colonsay, one of the most remote and most beautiful in the Southern Hebrides, hosts its book festival every year around the end of April. This year's festival features Anne Cleeves, Robin A. Crawford, Jen Hadfield, Clare Hunter, Sarah Maine, and James and Tom Morton.For full details, see the Colonsay Book Festival website . In May 2019 the Burns an' a' that! Festival will celebrate its eighteenth anniversary and Scotland's Year of Young People by showcasing some of our best Burns landmarks at events throughout South Ayrshire. Look out for special events taking place throughout May at landmarks such as Burns Cottage and Souter Johnnie’s Art Gallery and favourite events such as the Land o’ Burns 10k and the Land o' Burns Weekender! See the Burnsfest website. Now in its ninth year, this festival just gets bigger and bigger! It’s now five bumper days of poetry, launches, prose, talks, film, puppets, history, workshop, buskers, song, installation, exhibition, politics, music and cabaret, and a children’s programme of magical time travel, folk tale and madcappery. For full details, see the Big Lit website. Burnsfest! is a free family festival featuring live music, Burns Wine Bar and Beer Garden, A-Coo-Stick Tipi, The Mercat, Performance Pokey, Bairns Bunnet, Haverin' Hoolie, Burns Fair and more! See the Burnsfest website for details. This year's authors include Volker Kutscher, Malachy Tallack, Melanie Reid and Sara Sheridan. There will also be poetry, music, dance (a ceilidh) and the announcement of the Highland Book Prize. For full details and tickets (from 29 March), see the Ullapool Book Festival website. The world's only festival of biography and memoir has a great line-up of speakers including Sue Black, Kirsty Wark, Kate Williams, Eunice Olimide, Alan Little, Chris Brookmyre and Mark Billingham. There are also plenty of events for children on 11 and 12 May (including a festival finale of all-round fun). See the Boswell Book Festival website for details and booking. The Southside Fringe Festival is a 16 day annual festival held in May in venues, businesses and locations across the Southside of Glasgow. Each year it has 30 to 50 local venues hosting 100 to 200 art, drama, cabaret, comedy, music, literature, spoken word, health and lifestyle and food and drink events. See the Southside Fringe Festival website for details. The City of Edinburgh Methodist Church in Nicolson Square is running a book festival with author talks and events as part of its Book Sale for Christian Aid. Speakers include Rosemary Goring and Lin Anderson. For more details, see its new website . The 2019 festival weekend gets started on the Friday with the launch of a new poetry press and an evening with Neu! Reekie! Saturday has a packed bill with Kevin Gilday's Suffering from Scottishness, Chris McQueer and Gutter Magazine's CoastWord Takeover. Sunday starts with a breakfast event and Denise Mina features later in the day. For full details, see the CoastWord website. No programme details yet but this annual festival always has a wide range of events including talks and stories. Updates will appear on the University of Aberdeen website or sign up for the newsletter. No information at present about this annual book festival which usually runs in early May but check the West Dunbartonshire Libraries page. Apply for this 18-month Graduate Scheme in London by 31 March 2019. Literature Officer: apply for this part-time position (21 hours per week) by 12 noon on Monday 1 April 2019. Early Years Outreach Officer: apply for this full-time, permanent position by 5pm on Monday 1 April 2019. Office Manager: a pply for this full-time, permanent position by 9am on Wednesday 3 April 2019. Research Assistant: apply by 4 April 2019 for this part-time, fixed-term (4 months) academic post. Entry is open for these awards until 6pm on 5 April 2019. Areas eligible include digital publishing, book and magazine publishing and novel methods of communication, marketing, advertising and publishing. Typesetter/Systems Operator: apply for this full-time position by 4pm on Monday 8 April 2019. Fixed-term (12 months maternity cover) with possibility of a permanent contract thereafter. Production Assistant: apply for this full-time position in Falkirk by 4pm on Monday 8 April 2019. Box Office Assistants: apply for these temporary positions (various dates in June, July and August), by 5pm on Friday 12 April 2019. Highland Book Prize Coordinator: apply by 5pm on Friday 26 April 2019 for this fixed-term (one year), part-time position (one day per week). Possible remote working for the right candidate. Special low rates for non-members. For InDesign users who want to be sure they are taking advantage of the latest and best features and working in the most efficient and smart way. Book on Helm Tickets. Learn how to write strong, reader-focussed content that will get your website found in search and engage your target audience, compelling them to take action. Book on Helm Tickets . No previous knowledge is required for this one-day introduction to proofreading. The emphasis is on practical exercises using a variety of accessible texts. Book on Helm Tickets. At the Scottish Book Trade Conference on 26 February 2019, the First Minister announced £30,000 for Scottish Book Trust to deliver the Scots Language Publication Grant - created to support Scots publishers and to encourage Scots writers. Any publisher based in Scotland can apply. For more details and to apply, see the Scottish Book Trust website . This fund has been established by Scottish Books International (SBI) to support writers who have been invited overseas to promote their work. Apply at any time throughout the year. Applications are accepted on an ongoing basis while there is an available budget for the quarter. For full details, see the SBI website . The works by the finalists and winner of the Cordis Prize for Tapestry are on display at Inverleith House at the Royal Botanic Garden Edinburgh until Monday 27 May 2019 (free entry: see times on the RBGE website). The Cordis Prize was initiated by Miranda Harvey and her husband crime writer Ian Rankin. Lots of great events as always but here are some that particularly caught our attention on a first look through: the play adapted from Jackie Kay's Red Dust Road (National Theatre of Scotland); The Secret River play adapted from Kate Grenville's novel (Sydney Theatre Company); and the Mythos trilogy Gods, Heroes and Men featuring Stephen Fry and adapted from his bestselling book. Public booking opens on 6 April 2019. For full details of the programme, see the EIF website. A house with connections to author John Buchan and which inspired his novel The 39 Steps is up for sale ( through Savills). The property in the Scottish Borders is on the market for offers over £395,000. See the feature in The Daily Mail of 21 March 2019.